Add this versatile Shirred top to your wardrobe and turn heads with your new style. 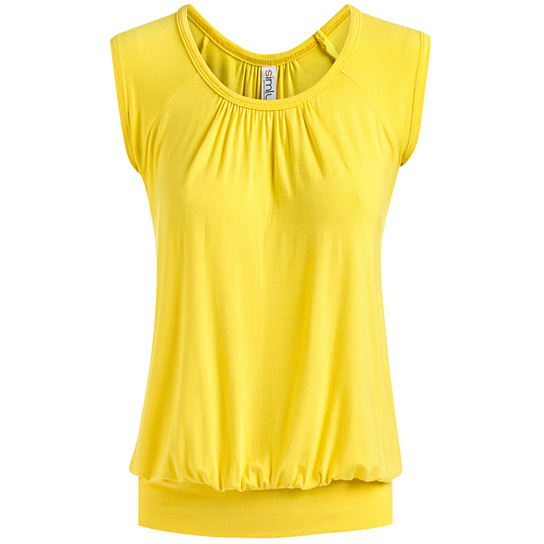 This scoop neck solid top is made of soft but durable Rayon blend for a supremely comfortable and lightweight wear. This feminine draped top is perfect to lounge around in, or even dress up for a night out. With a change in bottom and jewelry, this short sleeve top can change from casual to classy. Style it with jeans, leggings, or shorts for a chic and fashion-forward ensemble that styles for any occasion. This Simlu womens pleated top is 100% guaranteed to be produced in the USA. You can be confident that America consumer protection laws and safety standards are in place to protect you and your family. When you purchase only American-made products, you insist on a higher standard. Produced with advanced craftsmanship and manufactured with higher quality material, you can be sure to expect an accurate size and a great fit for you Simlu purchase-today!